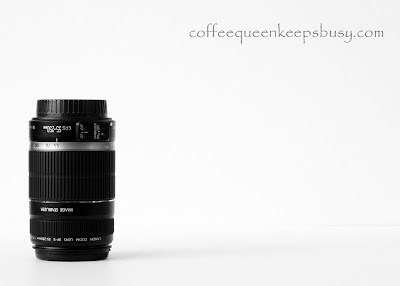 Our new camera lens: Canon 55-250mm E-FS f4.0-5.6 IS zoom . Several photo bloggers use two foam art boards to get a white a nice, clean white background. I really like this look so I got some boards yesterday and tried it out today when taking photos of my new camera lens. I was very pleased with the results, especially the black and white shots. 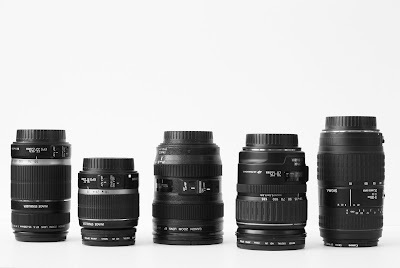 Here is my lens collection (minus the one used to take this picture). 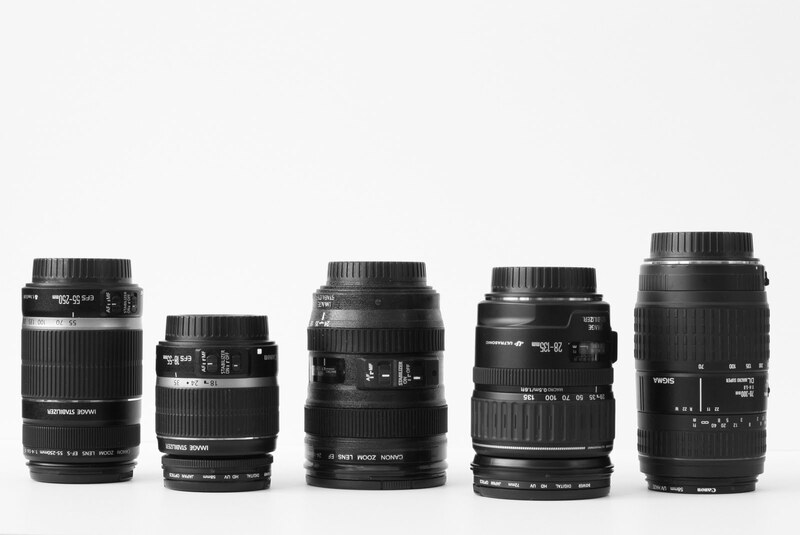 One of these lenses is not like the others, one of these lenses is really my awesome latte mug that I wrote about here. 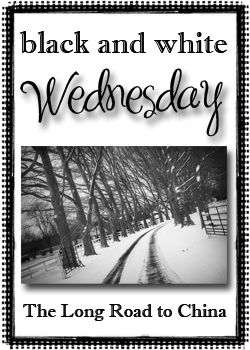 I am linking this post to Black and White Wednesday at the Long Road to China blog. My other Black and White Wednesday Entries can be found here.